Today’s guest post is written by Scott Wing , a research scientist and curator at the Smithsonian’s Museum of Natural History. In this post Wing reflects on Anthropocene, or Age of Humans, as a new way of thinking about our human interaction with the earth. 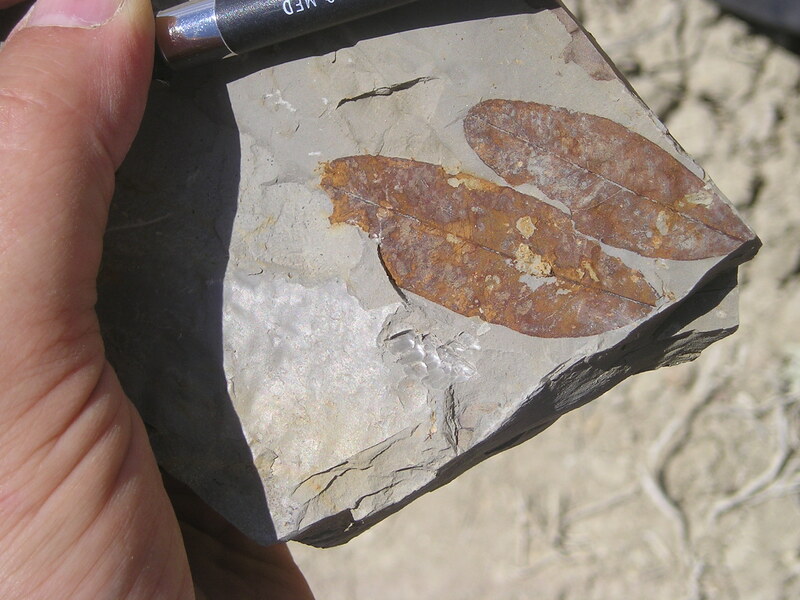 I’m amazed to find myself, a paleontologist who studies fossilized plants, writing a guest blog for Earth Matters. 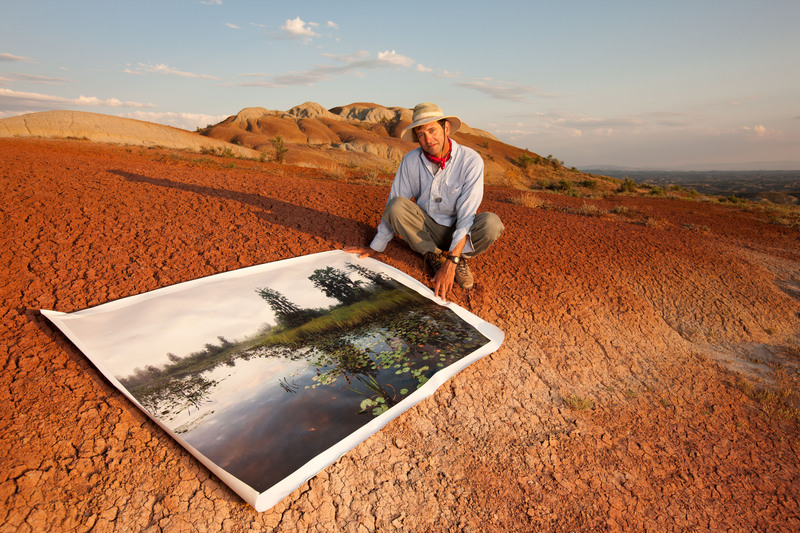 What does a fossil hunter know about the goals of this exhibit: to help us understand the meaning of earth, the metaphorical associations of earth and art, or how art might help us change environments in a positive way? You readers will judge how appropriate this blog entry might be. What I can claim, as a paleontologist, is that I am professionally required to take the long view. Among my friends and co-workers it is common to talk about VERY long periods of time – 4.6 billion years since the formation of the earth, 3.5 billion years since the origin of life, 540 million years since the rapid evolution of the types of multicellular animals that live in the world today, 250 million years since the greatest known mass extinction, 66 million years since an asteroid snuffed the dinosaurs. Who but a geologist or paleontologist would refer to 10,000 years as “a short period” and not even smile when they said it? Ever since the fields of geology and paleontology were first developed in the 18th century this idea that the earth is very old, almost unimaginably old, has been a handicap to popular acceptance. The Great Pyramid was built about 60 human lifetimes ago, the first members of our species appeared about 25 times longer ago than the Great Pyramid was built, the last dinosaur lived about 660 times longer ago than the earliest human, and the time since the last dinosaur is only about 1.5% of the earth history. The barrier to acceptance isn’t just that these are big numbers. I think people have resisted the idea of an old earth in part because it makes their own lives seem so short. Scientific understanding of the origin of the earth and the life on it is a bit like Copernicus’s realization that the earth is not the center of the universe. This understanding removes us from the center, from the beginning, and can make us feel insignificant. It is the underlying theme of many key scientific advances of the last 300 years that we have no privileged position in space or time. For the most part my paleontological predecessors and I have happily chipped away at rocks and fossils without thinking very much about the existential meaning of the history of life. The earth is not ABOUT us. We are in no way the point of evolution. 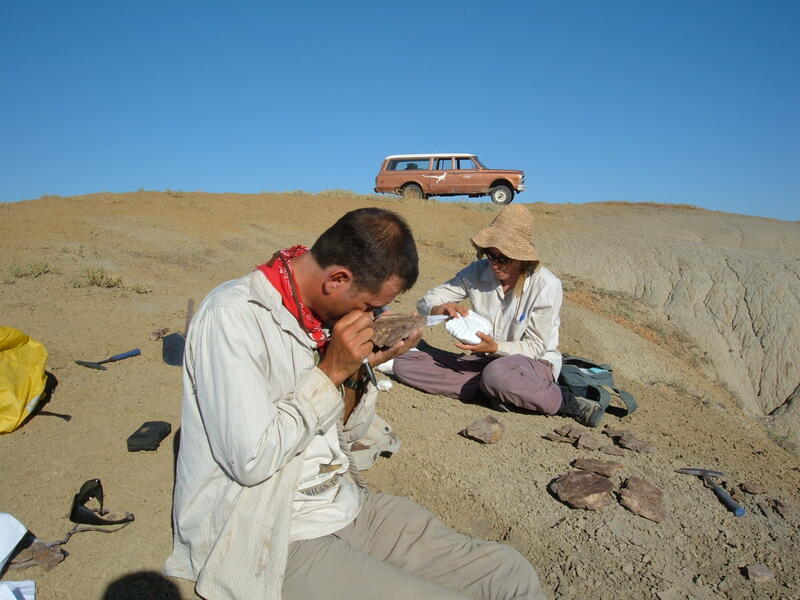 We paleontologists just like the detective game of figuring out life’s plot. While playing our detective game we have figured out some amazing things. Carbon moves between the air, the oceans, and the solid earth, and in doing so it has powerful effects on the climate. Climate and environments have changed many times in the past, with profound effects on life. Living organisms themselves have changed the composition of the atmosphere over many millions of years. Evolution produces vast numbers of species; rare and catastrophic events wipe out large proportions of this diversity. In the vastness of time really big changes happen on this earth. In recent decades, though, we scientists have begun to realize that our perspective is attaining a new relevance. Our species is changing the earth at a scale that is like the geological processes we have studied in the earth’s past. We have altered the composition and temperature of the atmosphere, the pH of the oceans, and the rate at which the soil beneath our feet erodes to the sea. Man-made compounds, many of them toxic, are now globally distributed in air, land, and water. We have even manufactured our own bodies. You may not realize that much of the protein in your body is built from nitrogen atoms that were originally extracted from the air in an industrial process to make fertilizer for the crops you eat. The changes we are causing in the carbon cycle, in climate, in erosion, and many other aspects of the environment, are huge. They are like the geological changes geologists and paleontologists see over epochs and eons in the past, except they are happening in mere centuries. This is the first time in hundreds of years that our scientific understanding of the earth is making our actions seem more important, perhaps even unprecedented in the 4.6 billion year history of the earth. Our planetary effects, and our knowledge of them, put us in a new geological epoch, the Anthropocene, or Age of Humans. Some think the term is hyperbole, some hubris, but I think it is remarkably apt. We really have become a force of geological scale, and perhaps even more important, the changes we are causing are far longer lived than almost anyone appreciates. The carbon dioxide generated during the early Industrial Revolution still warms the earth, and even if we were to stop emitting carbon dioxide today, high levels of the gas, and the higher temperatures and sea levels it causes, would persist for tens of thousands of years. That’s a timespan even a paleontologist can respect. We are causing extinctions at a high rate, and the re-diversification of life following these extinctions will likely require millions of years. Further, with >7 billion people on the earth, there is more change to come. The Anthropocene is a new period in the history of the earth because of the rate of change, but also because we are the agents of change, and we have some awareness of what we are doing. The Anthropocene should provide a new way of thinking about how we interact with the earth. The environmental and conservation debates of the last 4 or 5 decades have settled, I fear, into an unproductive thesis and antithesis. Passionate pleas to “save the Earth” have sometimes been phrased with a lot of idealism and a tinge of moralism – they imply that our goal should be to return the earth to some stable state free of human influence, and that opposing this goal is bad. The antithesis has been to deny that we are changing the global environment with unprecedented speed and in ways that will make life much more difficult for people. These endpoints are conceptually simple but they both deny reality. We can’t return the earth to some “natural” state – it has always changed, and we humans have long since changed it irrevocably. On the other hand, we would be stupid to ignore the dire problems we are creating, problems that will make our descendants less happy, healthy and wealthy if we don’t address them. I hope the Anthropocene perspective can provide a kind of radical synthesis of these opposed viewpoints. Problems of environmental change and degradation are serious and will occupy our descendants forever. We have to start serious planning for what we want the earth of the future to look like. The basic challenge of the Anthropocene is to develop societies that are global gardeners and engineers. Our choice is this: we can alter the earth inadvertently and ignorantly, or we can recognize that natural systems place limits on the magnitude and rate at which we can modify the environment and still enjoy its products. We now know enough about how the earth works that we should acknowledge our social and economic systems are part of a larger ecological system. That larger system ultimately places limits on the rate at which we can consume resources and churn out waste products. Finally, as a scientist, I think it is important to mention the role of art in the Anthropocene. We scientists are in the business of figuring out how things work, how the earth system functions. In the apt metaphor of Penn State professor Richard Alley, we are trying to read the “operator’s manual” for the earth. If the Anthropocene perspective is correct, though, then we humans are now a big part of the earth system. That means that an important chapter in the operator’s manual is the one titled “How Humans Feel about the Earth.” Art, of course, is and always has been, in the business of interpreting, illustrating and shaping how humans think and feel about the earth. Helping people see and understand change in their own lives and in the world around them is more important in the Anthropocene than ever before. That’s why Earth Matters.